With great enthusiasm, we snagged Realtor Jennifer Sisson, and headed downtown to Short Street. 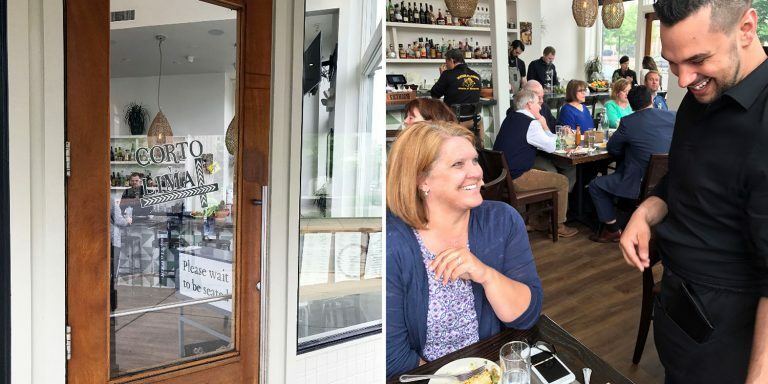 As we walked through the door, we were immediately greeted by a smiling hostess. She quickly led us to a table where we were introduced to our fun and fabulous server, Nick. 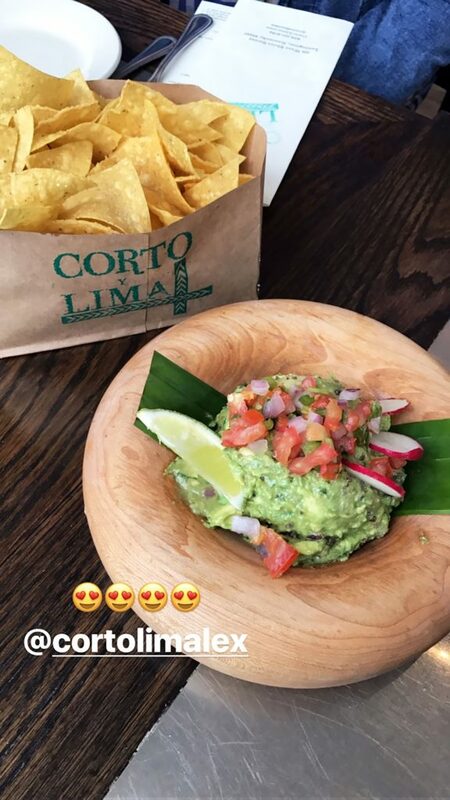 His passion for all things Corto Lima was infectious so we asked his opinion on what to order. He suggested starting with chips and guacamole followed by a selection of small plates to be shared. What a great suggestion! Before the generous bowl of guacamole hit the table, we were grabbing chips and diving in! Thank goodness Nick knew to back off from the feeding frenzy. The chips and guac were seriously the best we’ve ever had with just the perfect amount of salt on the crisp chips. We resisted the urge to completely demolish the bowl as we knew we had a lot of food on the way. We then shared the Steak Rajas De Poblano (steak tacos), which were flavorful with tender steak and loaded with veggies. Next out was the Elote, a Mexican Street Corn on the cob. We almost passed on the corn because we didn’t have any dental floss on hand, but the fabulous Nick pointed out that we could easily cut the corn off the cob. Thankfully we listened to our knowledgeable server as we all 3 agreed it was the best item on the menu. 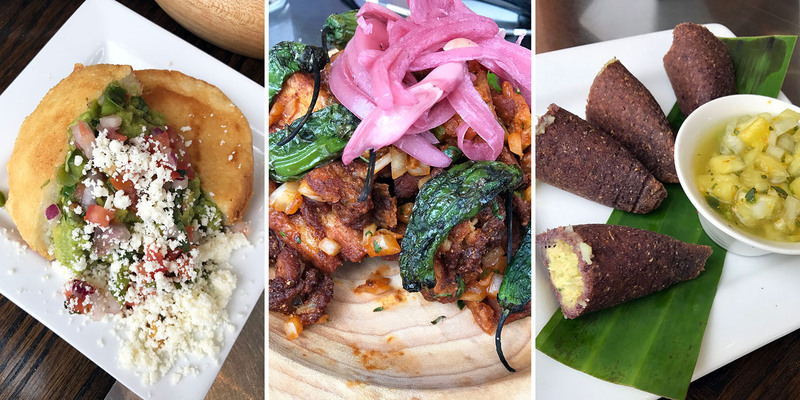 Nick quickly brought out our next three plates which included the Arepas, a South American grilled cheese stuffed with guacamole (are you kidding? ), Chicken Chicharron and Blue Corn Empanadas. All 3 were quite tasty, but the chicken won us over immediately. It was tender and perfectly seasoned with just the right amount of spice. With no room left for dessert, we paid the bill and rolled out the door desperately seeking a place to grab a quick siesta. Finding none, we headed back to the office excited to share the details of this great new find. A shout out to Chef, Jonathan Lundy, for a great lunch. Not only was the food extremely fresh and flavorful, but the presentation was incredible. The bright, airy atmosphere and friendly staff made for a great experience. 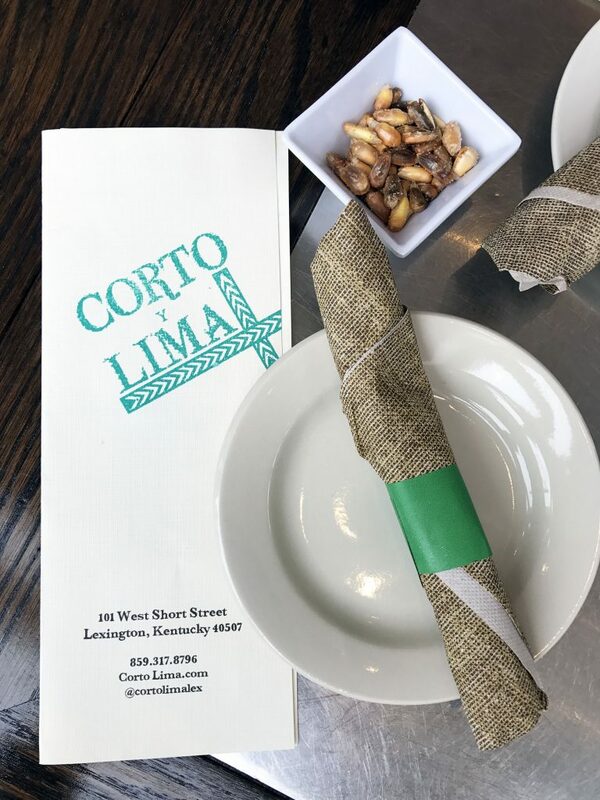 Will we return to Corto Lima? Absolutely! 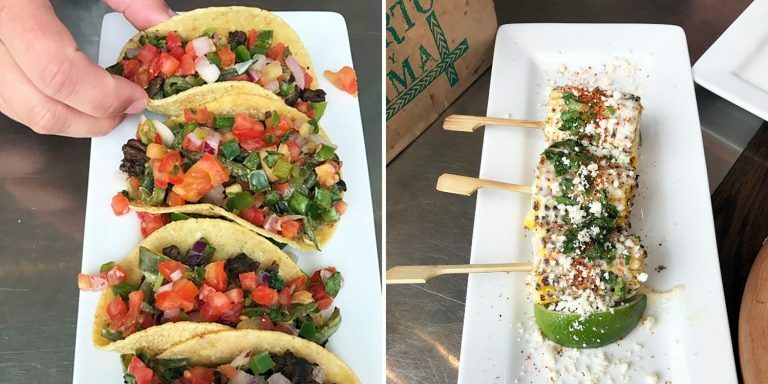 We are still drooling over the guacamole and Mexican street corn.